Iyengar Yoga, the most widely practiced form of Hatha Yoga in the world, is based on the classic teachings of the yoga master B.K.S. 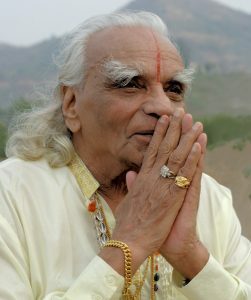 Iyengar (1918-2014). He was named one of the world’s ‘Most influential People 2004’ by Time Magazine. B.K.S. Iyengar was taught yoga in his youth by his brother-in-law, renowned yogi Krishnamacharya. 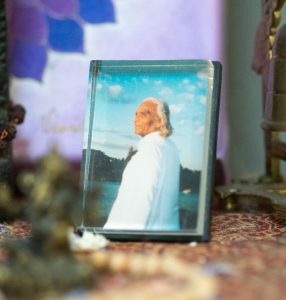 Over many years, Mr. Iyengar developed an approach to yoga through intense practice and self-study, which he then began to teach. His first book, Light on Yoga, has been in print since it was originally published in 1966, and is the basis for study by students worldwide. Certified Iyengar Yoga Teachers are certified in the United States and are governed by national and regional guidelines after a rigorous process of certification. Certified Iyengar Yoga Teachers (CIYTs) undergo rigorous training and evaluation to earn their certifications. The first level of accreditation involves 1,000 hours (other programs provide accreditation at 200 hours.) Many Iyengar teachers also travel to study in India annually at the Iyengar Institute in Pune, India (RIMYI). In class, teachers provide clear demonstrations of each posture and are skilled in the use of simple props to maximize the yoga experience, providing support to the less flexible, and extra extension to the more advanced student. Props such as blocks, straps, blankets and ropes can assist, correct and realign different bodies with their unique limitations or needs. Our teachers help students to learn yoga asanas (postures) with a focus on proper alignment and safety. In an Iyengar Yoga class, teachers provide thorough instructions with personal attention. Moreover, Iyengar Yoga integrates a well-devised system of props to assist, correct and realign different bodies with their unique limitations or needs. Finally, Iyengar Yoga teachers are trained in the art of “sequencing.” The class is structured to optimize learning and practicing in a sequence of yoga poses that warm up, develop endurance and stamina, and then cool down. Classes provide gradual but steady progress, rather than quick but fleeting results. 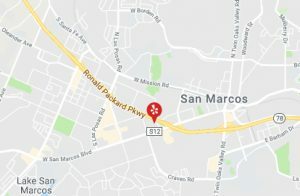 At San Marcos Yoga, you learn the poses in depth, from the correct position of each part of the body, to the mechanics of breathing. Your teacher will talk you thru each pose with details to help you gain the most benefit. Unlike in other styles of yoga, Iyengar Yoga helps students build a solid foundation by introducing standing poses in level 1 classes and slowly including other categories of poses as students progress. Benefits of yoga include developing flexibility, alertness, mindfulness and relaxation. Yoga is also used therapeutically to aid in healing and recovery, as well as ameliorating a host of physical ailments.